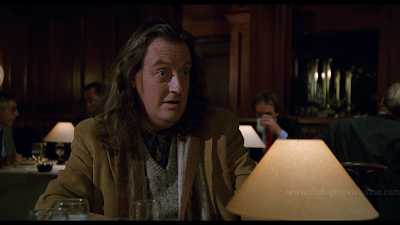 For a horror fan, the 90’s were not that great. This is just a fact. 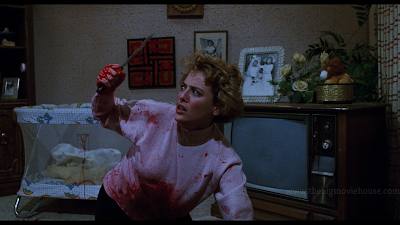 While there were some great horror films, don’t get me wrong, but the 80’s were so jam-packed with some of the best horror films ever, so the 90’s was just lacking. Out of all of the horror films from the 90’s, a few stood tall, and one of them was Candyman. Based on a short story, The Forbidden, by Clive Barker, director, and screenwriter, Bernard Rose takes the story’s original setting of Liverpool and transplants it to Chicago where race was a big deal (it was a big deal all over the country, but Chicago and the county it lies in, Cook, have always had a problem with people of color) and took the story into a new angle. 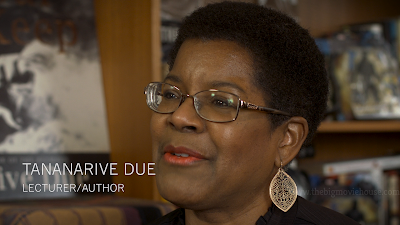 The film would be as much about race as it was about urban legends. The titular figure, The Candyman, is a black man, a former slave who was having a romance with a white woman in the south. This was forbidden, and a lynch mob had his hand cut off and then covered him in bees, which stung him to death. So, as you can tell, this is not a film that has a black man as the killer just for the hell of it. There is a purpose for it. Like many other slasher icons, the Candyman was wronged, but here he isn’t seeking revenge on those who wronged him. He is trying to find his trying to find his long-lost love and to keep himself as a fearful presence to the residents of Cabri-Green. While some of this may invoke memories of Freddy Krueger, I don’t think that was the intention. Rose has made a very original horror film that does fall into slasher territory but does so to move the plot forward. 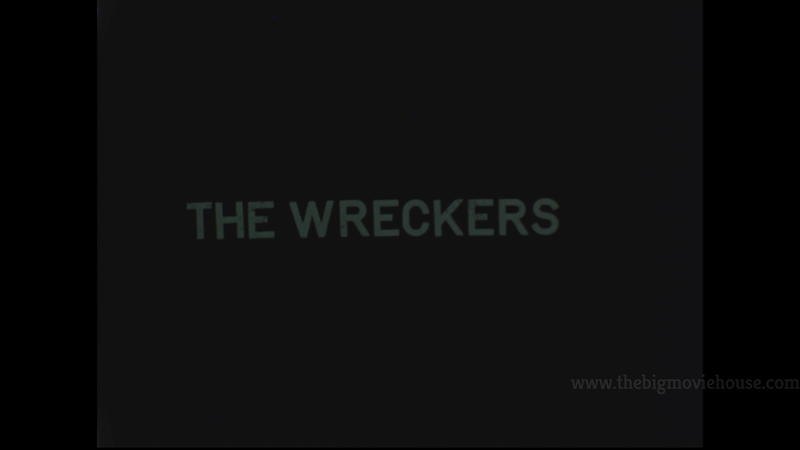 This is a film that looks at a lot of things that slasher movies don’t really touch on. Race is one thing. 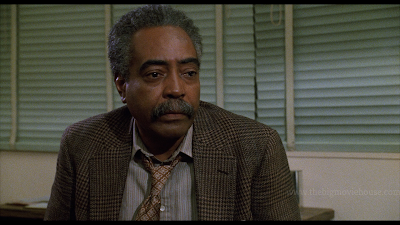 Even though slasher movies were always pretty quick to get rid of the black character, they never touched on anything race related. They never asked “why”. 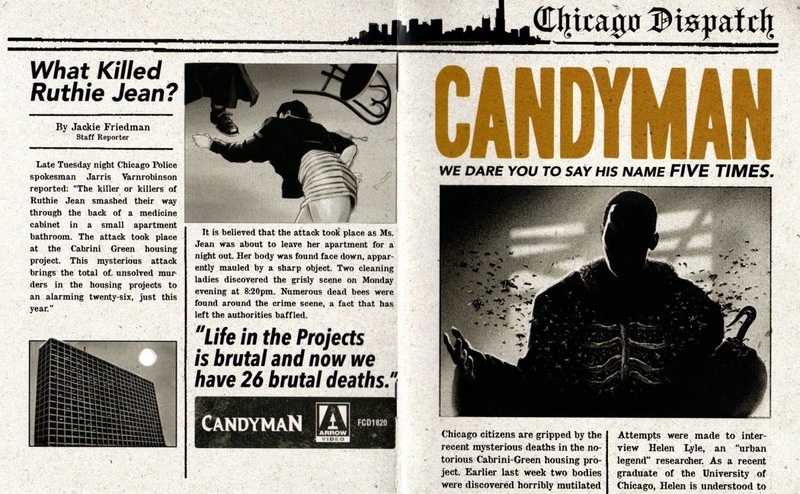 Candyman looks at the way poor black people live in Chicago (or at least did. 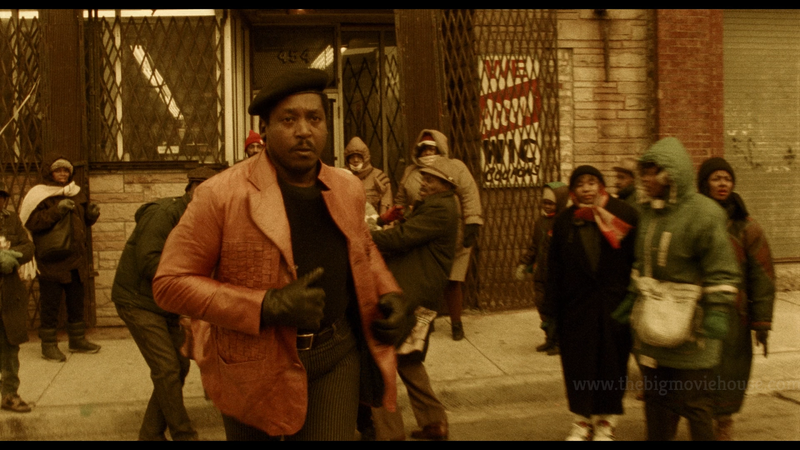 Cabrini-Green was torn down a few years after the film was made.) 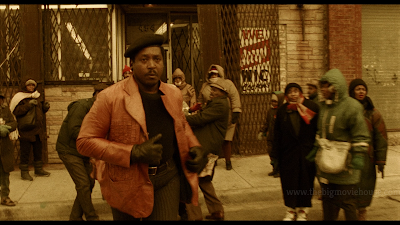 While the film doesn’t really dive into that too much, the backdrop of Cabrini-Green is interesting for a horror film. The place itself looked scary from afar (and not because black people lived there) and once the film gets into the complex itself, it is a lot scarier than you would think. Some of it is the actual place itself and some it is movie magic. Still, to look at the plight of poor black people in Chicago, in the early 90’s no less, is something that horror films didn’t do. The second is the mental state of the main character. Helen is blamed for the killings that the Candyman does, but she never touches any of the victims. 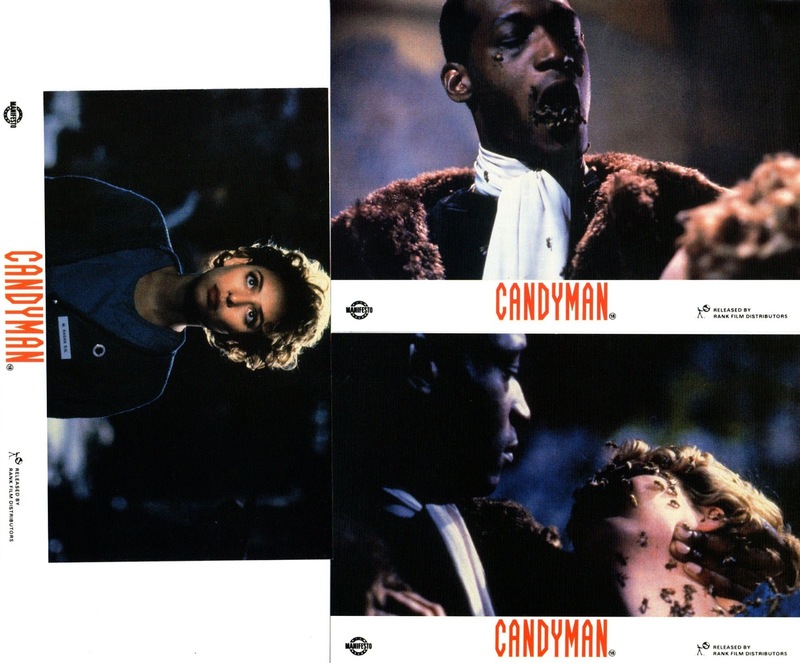 She is also shown to be seemly hallucinating at one point when a camera doesn’t catch the Candyman, even though he was in the room with her. We have seen some films where the mental state of the main character played a role in the film, but it was usually done as a twist in the story to throw the audience off or as a motivation for the villain. Pamela Voorhees had a mental illness, but she was the villain. Here Helen is our protagonist. We care about her and can only watch as slowly loses her mind. Or does she? The direction by Bernard Rose is excellent as well. While there are a few jump scares here and there, Rose actually builds tension and suspense really well. 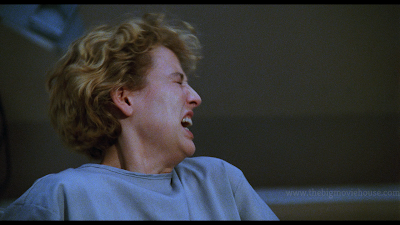 There are plenty of scenes where a jump scare could have easily been inserted, but he doesn’t. Instead, he goes for a real scare. 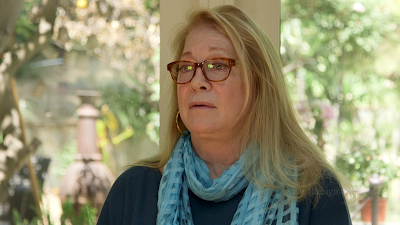 When Helen wakes up in the bathtub of the woman she met when she first went to Carbi-Green. We hear nothing but the screaming and yelling of someone, we are not sure who. Helen is covered in blood, but whose blood is it? We then follow Helen as she walks out of the bathroom. She looks down and sees the woman’s dog who has lost its head. We then see the woman thrashing and flailing around. We then see that the woman’s baby is not there. Could the blood not only belong to the dog, but also to the woman’s baby? This is an intense scene and Rose delivers information not with jump cuts or an overactive score, but with quiet camera moves that don’t take away from the situation at hand. 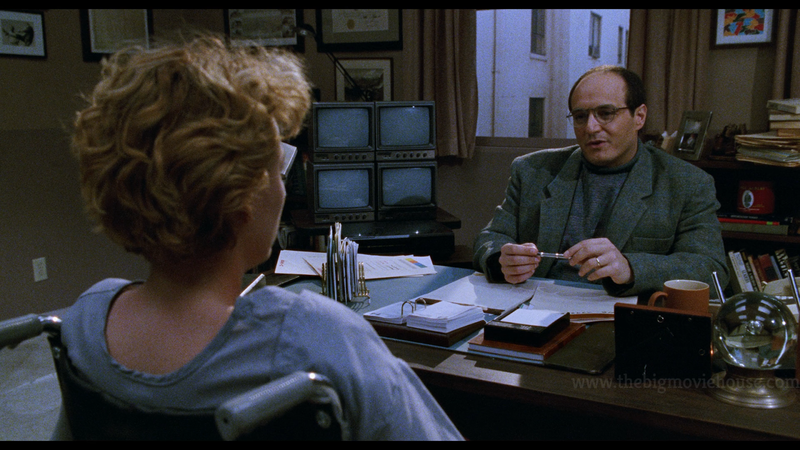 I would hate to see how a director nowadays would handle this scene. It would probably be a lot of shaky cam and a score that won’t shut the hell up. 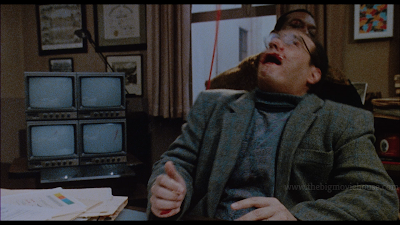 Speaking of the score, Philip Glass, who would go onto really dislike the film except for when another check comes in, really gives the film a nice push into a different plain than what we get from your typical slasher movie. 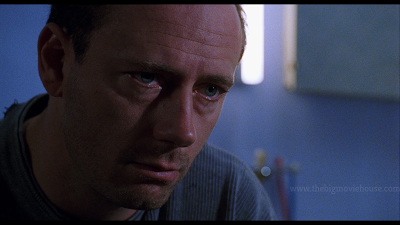 His score is there for most of the film, but it is never overpowering or annoying. There are plenty of scores where the composer thinks that the score is what makes the film, and sometimes they are right, but here it would have been a detriment to the film. Still, it sets a wonderful tone for the film and accents scenes the way a score should. 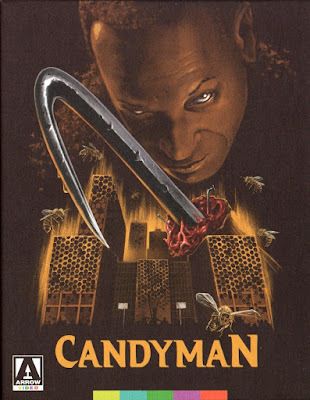 Candyman is a great horror film. Many call the film a slasher movie and I would agree, but it is so much more. 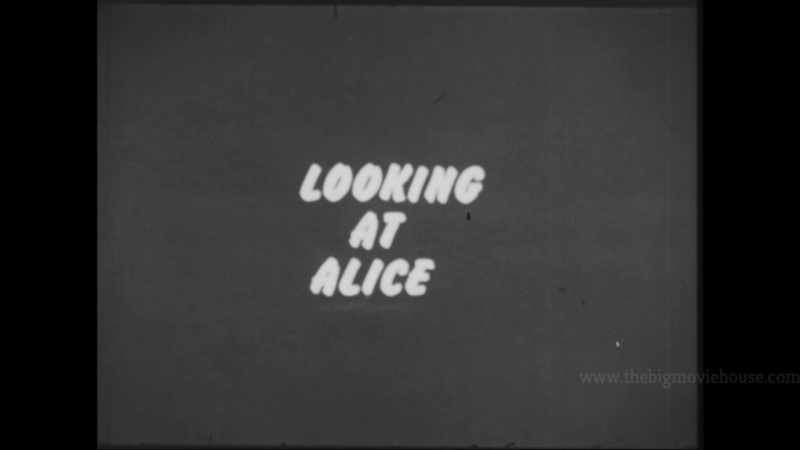 The film is about madness and the descent into it. It is about what we believe and what we don’t. We have a villain who doesn’t mindlessly kill. He kills for a purpose and actually has a code of sorts. The film is expertly directed, wonderfully acted, and hauntingly scored. 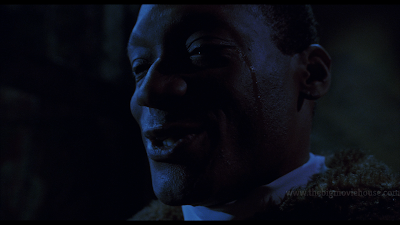 Candyman stands alongside Tales from the Hood, Silence of the Lambs, and Barker’s own Nightbreed as one of the very best horror films of the 90’s. Arrow has given us a fantastic restoration of Candyman. 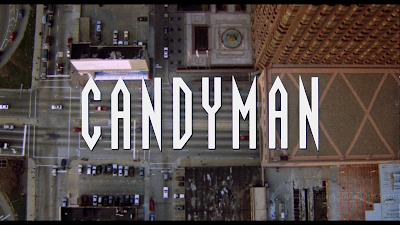 Restored in 4K and presented in the film’s original aspect ratio of 1.85:1, Candyman just looks great. Film grain is intact and gives the film a look that it hasn’t had since its theatrical run. This grain, of course, gives way to some great detail. Close-ups give us the best of this detail, but even the medium shots give us an impressive amount of detail. Colors are great as well, even though Rose didn’t make the most colorful film. The red of the blood is something that sticks out as well as the browns and earth colors found throughout the film. Skin tones are accurate and there is no sign of any digital manipulation. 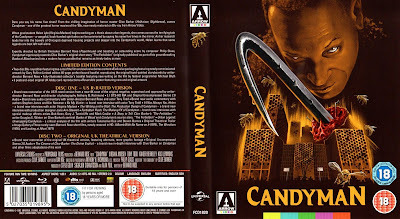 I know that I said a previous review that Creepshow had one of the best transfers of the year, but now you can add Candyman to that ever-growing list. The 2.0 LPCM track that Arrow has provided is wonderful. Dialogue is crisp and clear and there are no distortions or problems with the track. 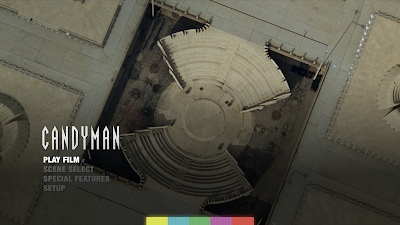 The track gives the Philip Glass score time to shine and it sounds great. There are English subtitles for those who need or want them. 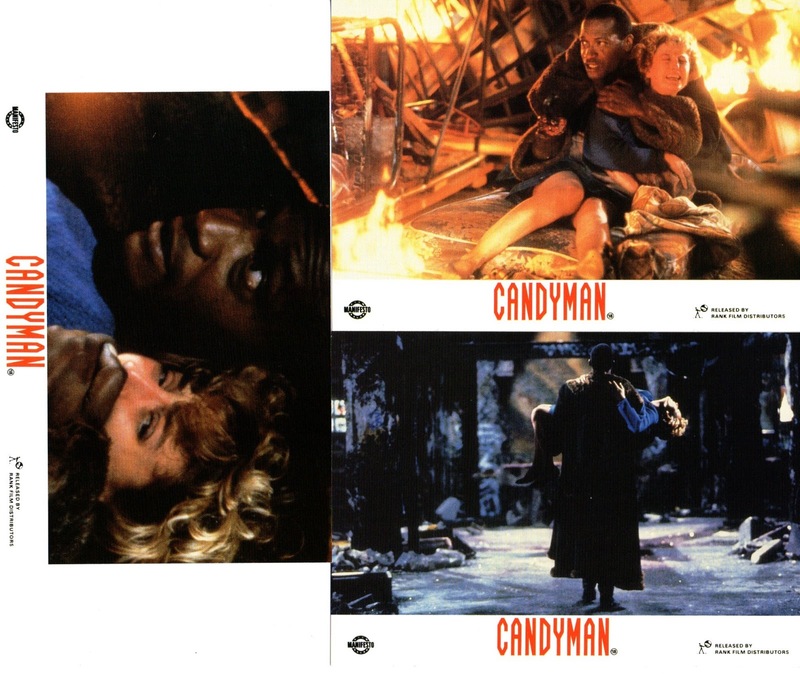 Candyman is brought to us by Arrow Video U.K. The front cover to the blu-ray features brand new artwork from artist Gary Pullin. 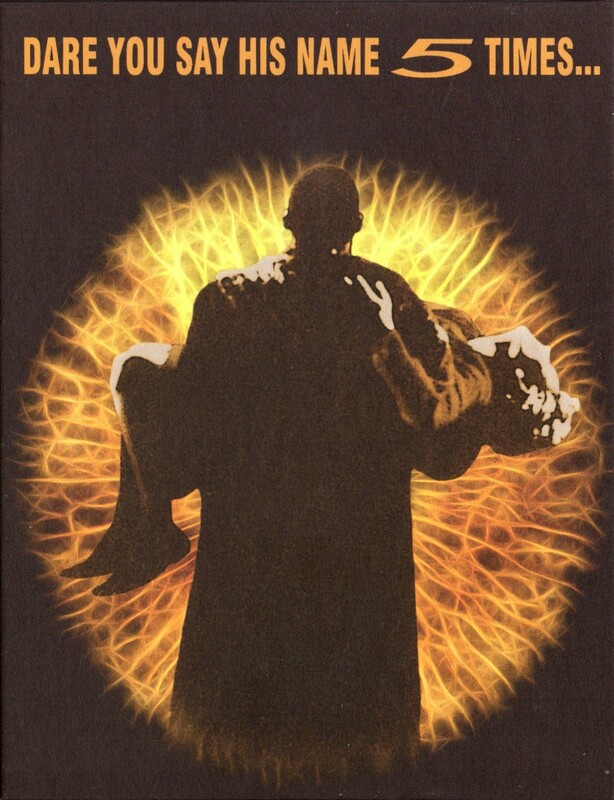 There is also a reverse side with the film’s original theatrical poster. 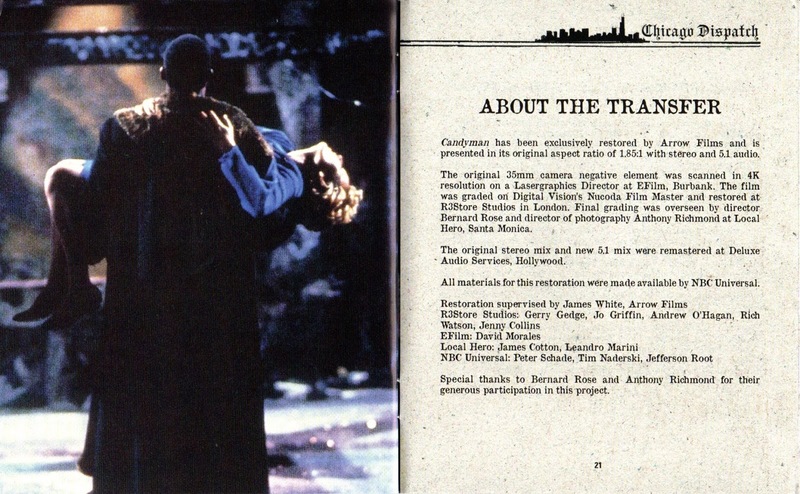 A booklet, one of two, is also included that shows us some of the Bernard Rose’s storyboards for the film. A double-sided poster is also included featuring the brand new artwork on one side and the film’s original theatrical poster on the other. Inside the blu-ray case you will find six postcards featuring stills from the film as well as another, smaller booklet that contains an essay on the film from author Michael Blyth and information about the transfer and the U.K. cut of the film. All of this comes inside a really nice chipboard box, the same kind that Arrow has been using since The Hills Have Eyes. The box is sturdy and holds everything nicely. The box features the same new artwork as the blu-ray case. 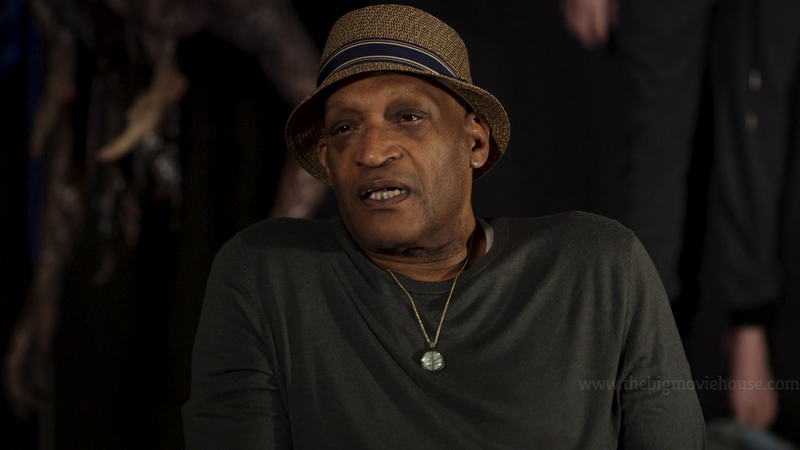 Forbidden Fruits: The Make-Up Effects of Candyman (8m 1s, HD) Interviews with effects artists Bob Keen, Gary J. Tunnicliffe, and Mark Coulier. 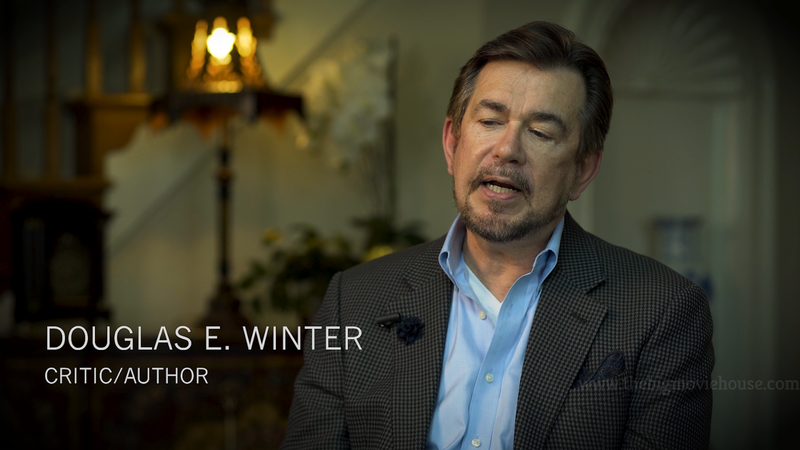 A Story to Tell: Clive Barker’s “The Forbidden” (18m 38s, HD) Writer Douglas F. Winter on Clive Barker’s seminal Books of Blood and Candyman source story, The Forbidden. 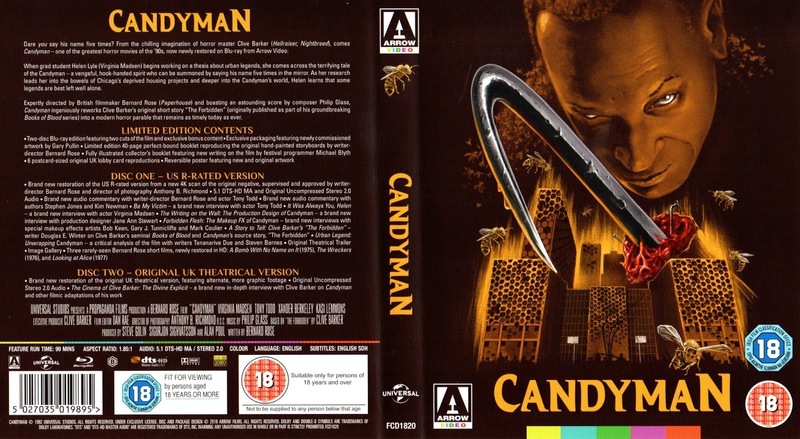 Urban Legend: Unwrapping Candyman (20m 40s, HD) Critical analysis of Candyman with writers Tananarive Due and Steven Barnes. The U.K. version of the film is the uncut version of the film. In the States, the film had to be cut in order to receive an R-rating. 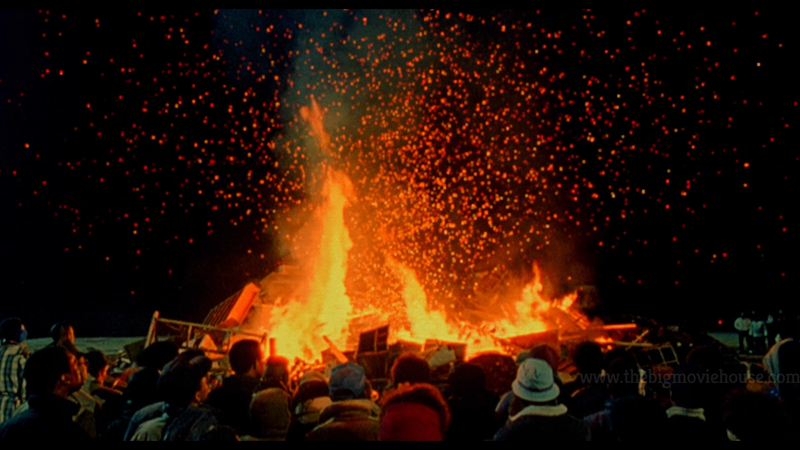 Instead of cutting the film and making it shorter, the filmmakers inserted alternate footage, that was the same length as the footage taken out. This is why the runtimes are exactly the same, but the content is different. 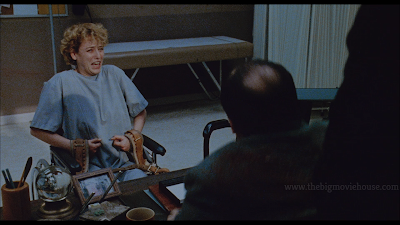 The cuts come from the scene in the psychiatrist’s office. 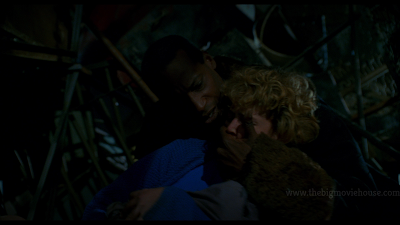 In this version, we see the blood squirt out of the doctor while in the U.S. version it cuts to Virginia Madsen’s face. 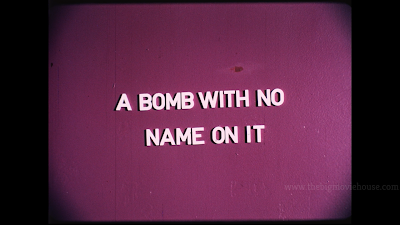 The footage for the cut shots came from a release print and, thus, wasn’t in the same condition as the film’s negative. 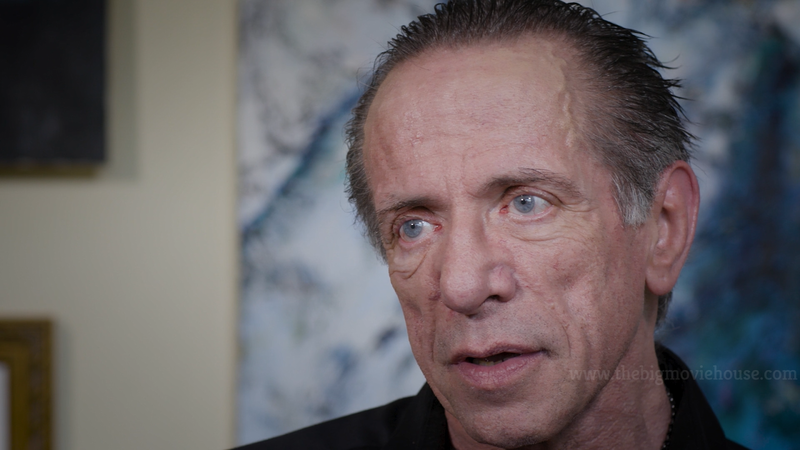 The cut shots were remastered in 2K and edited into the 4K transfer done for the film. This means that there is a dip in quality when the new shots are on screen. While the footage is noticeably different, it didn’t take me out of the film as it was nice to finally see the complete film in all of its gory glory. The special features included here are wonderful. The interviews with cast and crew provide some new insight into the film and some great stories are told. There is one story that stands above all of them, though. 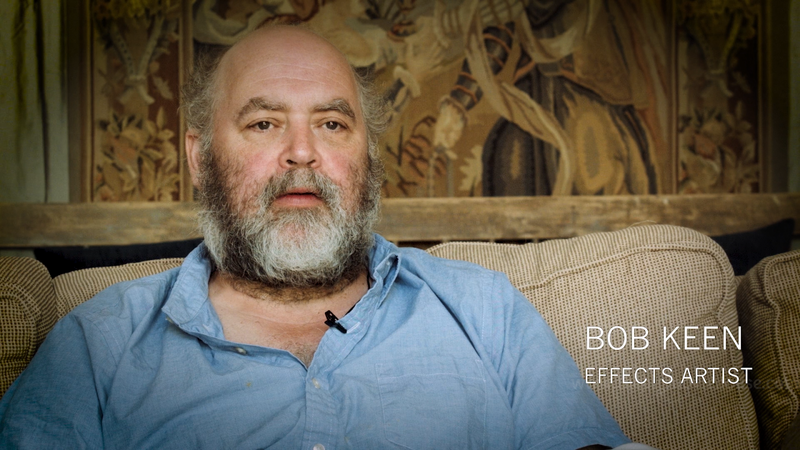 It comes from the interview with the effects guys. They talk about how they went to a blacksmith to have the hook that Candyman uses made. When they went to pick the hook up, the blacksmith asked them what the hook was for. 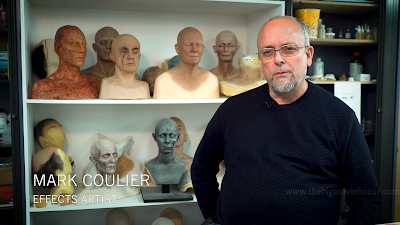 The effects guys responded that they were making a Clive Barker horror film. They then listed some of the works that Barker has created, including Hellraiser. Upon hearing this, the blacksmith took the hook off the counter and placed it into a drawer. The blacksmith was a devout Catholic and didn’t want to be known for making a hook for heathens. A great story if you ask me. The look inside the book the film is based on was informative and the analysis from the two authors was very insightful as they are looking at the film from the black perspective. They talk about how the film is loved by many and look at the meanings and themes the film brings up. The two commentary tracks are wonderful for different reasons. The Rose/Todd track is like sitting on a conversation with two old friends who haven’t seen each other in a while. They talk about everything from the film to their lives. The Jones/Newman track is informative and entertaining. These guys have done a few tracks together and they keep getting better with each one they record. 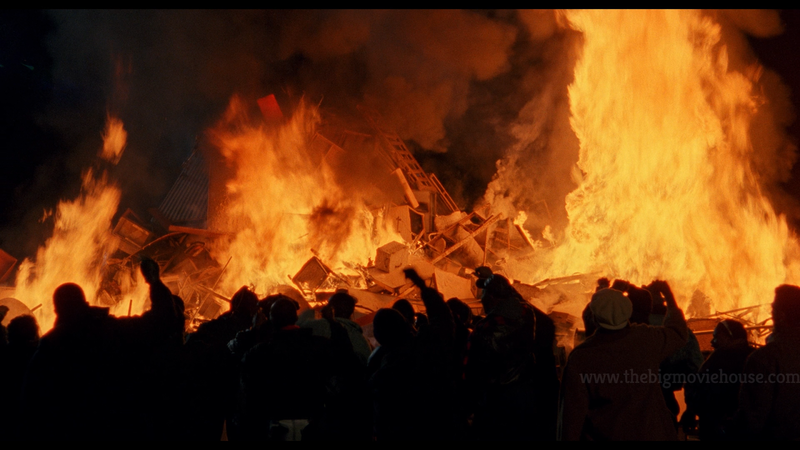 The U.K. version of the film is the same length but has a slightly deep impact in terms of gore. I do recommend watching both scenes back to back to see how a difference in shots can make a difference. The interview with Barker is interesting. 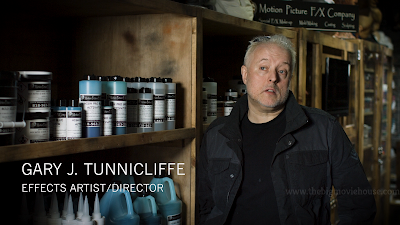 Barker talks about some of the films that were made from his works, but only the ones from Rawhead Rex to Candyman. When he isn’t talking about his films, he is talking about his philosophies and beliefs. This is a great interview, but not for those who are looking for insight into his films, but insight into the man himself. 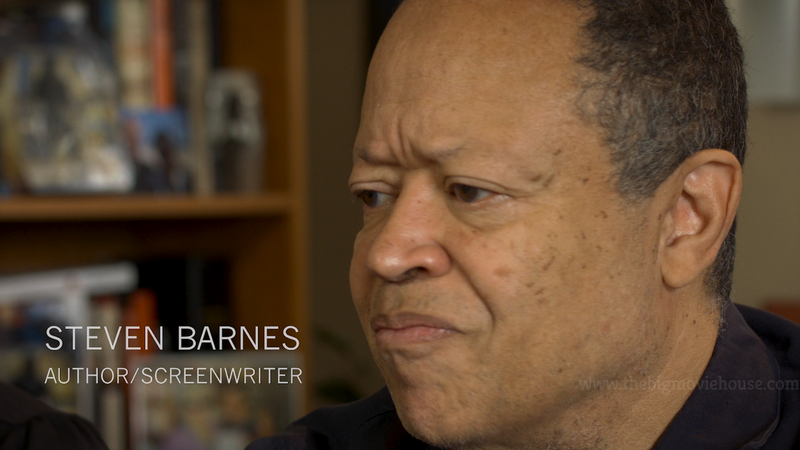 I am really happy that Arrow was able to sit down with Barker, who doesn’t really do too many interviews on account of his health, but it was really nice to see the man back in action, lively, talking about anything he wants to. I wish that the interview was longer. 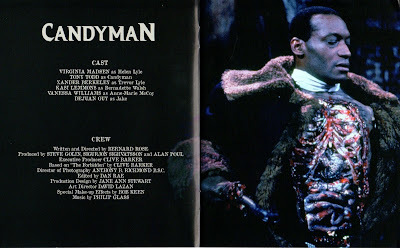 Candyman is one of the best horror films to come out of the 90’s. Everyone can have their Screams and their The Sixth Senses, I will take Candyman over them any day of the week. The film is scary and fun. 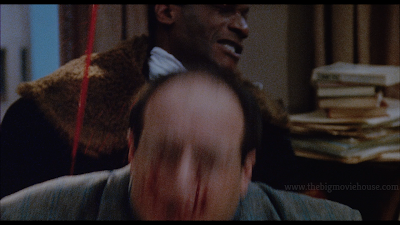 The blu-ray, from Arrow Video U.K., is one of the best releases of the year. The commentary tracks are fantastic, the interviews are interesting, and the U.K. version makes for the ultimate way to watch the film.